Thank you for visiting Krysia Photography. Krysia Photography specializes in both studio and on-location (natural light) photography for newborns, babies, infants, toddlers, children, families, maternity, seniors, engagements and adults. Krysia Photography is located in Fairfield Township, Ohio, but provides photography services in all the following areas: Greater Cincinnati, Northern Kentucky, Hamilton, Fairfield, Oxford, Dayton, Lakota, West Chester, Mason, Mariemont and other surrounding and local suburbs within Hamilton County and Butler County Ohio. As one of Ohioâ€™s top portrait photographers, Krysia Photography features portrait sessions of newborn photos, babies, children, family portraits, maternity, engagement, relationship, senior portraits and individual portraits. Book your maternity session today with Krysia Photography. Pregnancy is a miracle and should be celebrated and remembered through portraiture. We would love to shoot your special pregnancy moments through photography either in studio or on-location (or both.) Krysia Photography recommends booking your maternity session between 32-37 weeks gestation, depending on size and pre-term delivery risk. As a maternity photographer, Krysia Photography serves greater Cincinnati Ohio and surrounding areas. Krysia Photography specializes in newborns. 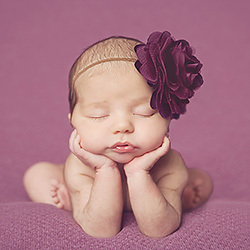 Krysia Photography is one of the best newborn photographers in Ohio and the Cincinnati area. Krysia Photography has the latest techniques in studio, as well as the best natural light techniques for your home. Krysia Photography will capture your newborn in the earliest stages of life and really put an emphasis on baby art for you to enjoy in your home of your newest little bundle for a lifetime. Schedule your studio or on-location newborn session today for memories of your newborn to last a lifetime. Please be sure and schedule your newborn session within the first 14 days of life (and after motherâ€™s milk has fully come in if you are breastfeeding). Krysia Photography serves the greater Cincinnati area, as well as surrounding areas within southeast Ohio for her newborn photography work. Krysia Photography provides some of the most original and unique professional baby portraits in the state of Ohio. Please browse through our baby gallery on our website to see the unique and original studio and on-location sessions we have photographed in the past years. Sessions can take place in our studio where we have a huge selection of backdrops and outfits for your liking, or outdoors in your favorite park or home location. Krysia Photography is a baby photographer in the greater Cincinnati area, as well as the surrounding areas within Hamilton and Butler County, Ohio. Book your session today for any of your children of any age! Krysia Photography specializes in gorgeous portraits of your children to preserve the memories of their childhood. Krysia Photography can capture your most intimate portrait in studio of your child, or a special session outdoors at your favorite location. Whether it is your child at play, or your child posing â€“ we are sure to capture a beautiful keepsake for you. Krysia Photography is a child photographer that servers the greater Cincinnati and northern Kentucky area. Krysia Photography is known for awesome family portraiture. Schedule your family session today for your studio portraits, or on-location session. We have a unique and fun style and will provide you heirloom keepsakes of your family. Krysia Photography really shows the strong family bond in her family work. Krysia Photography servers the greater Cincinnati and northern Kentucky area with her family portrait work. Schedule today! Krysia Photography offers a one-of-a-kind senior experience! Schedule your senior session today that will be filled with an outdoor session plus studio session all wrapped up into one. Whether you need a studio headshot for your yearbook, or desire a spunky, on-location session filled with personality, we can provide that for you! Krysia Photography is one of the best senior photographers in all of greater Cincinnati and northern Kentucky. Schedule with us today! A limited # of senior sessions are available each spring/summer. Krysia Photography provides her clients with several digital and CD collections in which to choose from. Krysia Photography also provides professional prints on professional paper. We do not limit ourselves to the amount of products offered. You are free to choose any of our collections, whether it be digital or prints, to suit your needs. Schedule with Krysia Photography today, one of the best digital photographers in the greater Cincinnati area! Krysia Photography is an exclusive photography that provides services of all types in the greater Cincinnati area. Krysia Photography is one of the best photographers in the state of Ohio, specializing in beautiful and unique newborn photography, maternity photography, baby photography, child photography, family photography, engagement photography and senior photography. Click here to find a photographer in another location!